Saw two new movies : Johnny Gaddar (जॉनी गद्दार) & Sunshine . Immensely satisfying. 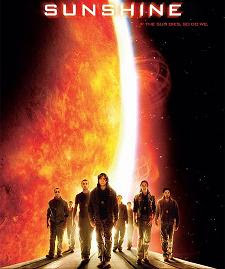 "If the sun dies, so do we"
Now this is my kind of movie. I am glad i saw this one. Sometime in the very distant future, our sun is dying out. And human kind has surprisingly managed not to kill itself. A group of scientists on board a ship are going on humanities second & last attempt at reviving the sun. So its about the reality show that plays out between the crew. Sun is dying, but its still radiant enough to burn the ship, So it feels like the patient attempting to kill its own doctor. The FX & graphics are amazing, truly capturing the fury & beauty of the sun. Visually the sun seems a benevolent god who has the power to sustain life but enough to destroy it all in one solar surge. The settings may not seem befitting of so long in the future, Also the humans still behave 'humanely' which i seriously believe would be the first trait to be lost in our over mechanization. The movie also reminds me of 'Event Horizon' in a surprise twist of events. Highly recommended for science fiction buffs. About the second one, I have formed a theory. In Indian cinema, the credits speak a lot. So if you have the director of Ek Haseena Thi (एक हसीना थी) Sriram Raghavan on the rolls with his whole crew, you have to go & watch the movie [Although people like RGV defy any logic of this sort]. Its just like the general formula for Indian girls going to a movie because of who it stars & what they wear. 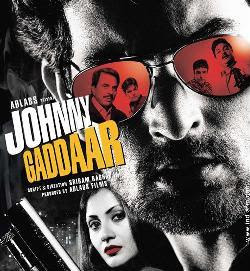 Johnny Gaddar is not a mystery, in fact you know from the first quarter, who did what, but its a damn good thriller. The story is about how Johnny cons his own gang. Then survives all the suspicion around him by turning it over its head & does so very believably. The characters are realistic, Dharmendra is especially good as the head of the gang. Neil Nitin Mukesh(grandson of Mukesh) is playing Johnny & excels at that. Other gang members are perfect in their roles. There is a separate plot which involves extra marital affair between a gang members wife (Rimii Sen) & Neil. There is only one background song in the movie so it holds its pace well, but some shots could've been cut short. Recommended viewing against the current hindi lot of borrowed comedies. * Don't miss the opening credits, they've been done tastefully in the style of 70's movies.